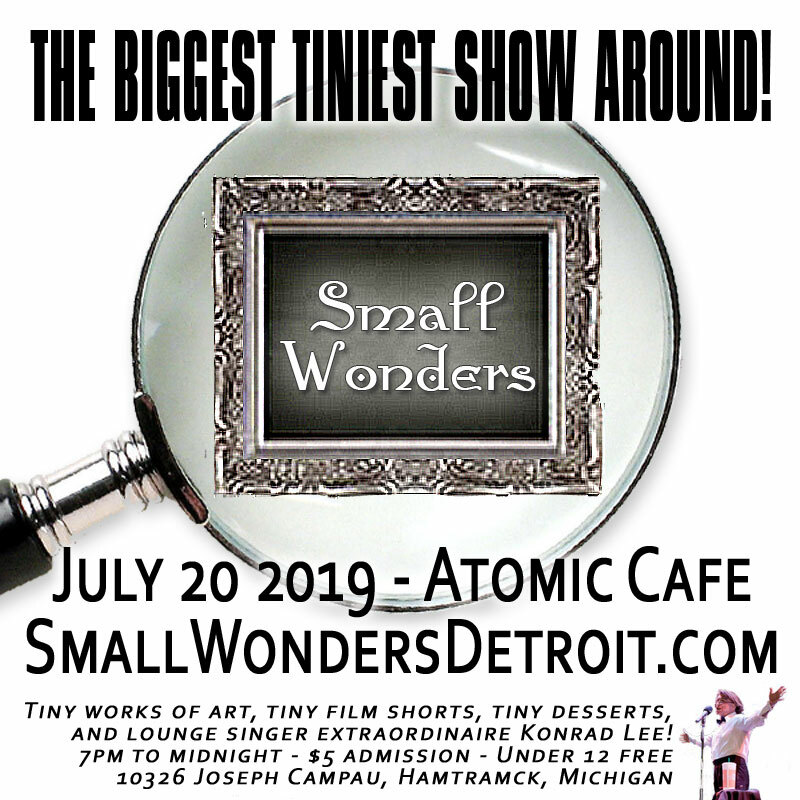 On Saturday July 20 2019 at Atomic Cafe Gallery in Hamtramck comes a grand event of tiny proportions called “Small Wonders – An Exhibition of Tiny Art“. 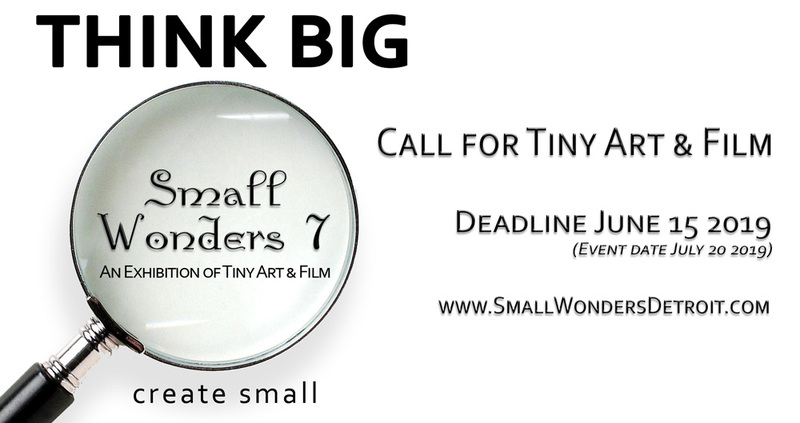 This curated exhibition will feature numerous fine works in various mediums from artists local and international, created with only one guideline in mind…all artwork must 5 inches and under. Now in its 7th year, Small Wonders has grown to include a small festival of short films, a gallery of artists creating tiny art live and, returning once again, the smooth lounge singer extraordinaire Konrad Lee (close friend of Satori Circus) will be singing a selection of tiny themed songs. 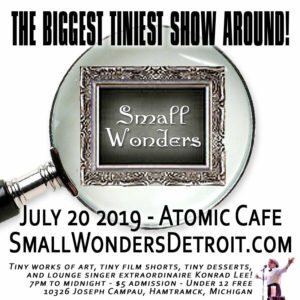 Admission is $5 and children 12 and under are admitted free. We look forward to seeing you soon!